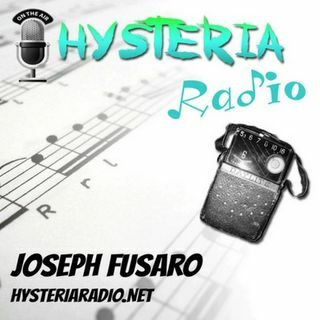 Singer and Songwriter Andrew Neil stopped by Hysteria Radio. We talked about his 3 year mandatory stay in a State Hospital that left him with nothing to do except write his way through it. During this time, he wrote and recorded 70 songs in his hospital room. Although not perfect recordings (his bio's words, not mine. I thought they were perfect considering the circumstances), they were effective in conveying his melancholy lyrics. Eleven of these songs were selected for inclusion on ... See More the Album “Code Purple - Andrew Neil”, which was released by Tree Heart Records on 10 October 2017. Last September Andrew released his latest full-length album, "Merry Go Round." Andrew Neil is wise beyond his years and his story intertwined with 3 of his original songs; Animals in Zoos, Merry Go Round, and Beautiful Mess, make for an episode you can't miss.